Download the Tanked Up Magazine iPad App Today! 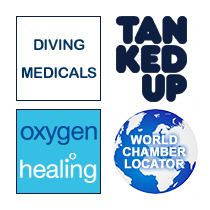 THE TANKED UP APP IS HERE & IT'S FREE! Isn't it such a drag when all you want to do is pick up a copy of Tanked Up, sit back, relax and escape into the fascinating world of satirical diving prose; but you just don't have the energy to track down your secret stash? Or you discover that it's been unceremoniously shipped off to the recycling plant? Well fear not faithful diving fellows! Tanked Up is now available to download via your iPad for FREE! 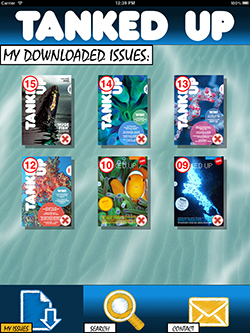 Download it and you'll be transported to a world where every back issue of Tanked Up is sitting there, ready and waiting for your dissection. So come on, what are you waiting for!? We'd love to know what you think of the App, please let us know by tweeting us @TankedUpMag.